What would have made The English better? This book is clearly just a piece of tosh, tossed off by the author without a thought.It's almost unlistenable and I nearly gave up after listening after just the introduction.Puerile observations read, apparently by a nursery school teacher addressing a room of toddlers...It attempts to be humorous, but the content is simply laughable, as is the patronising, infantile delivery. Don't waste your money. 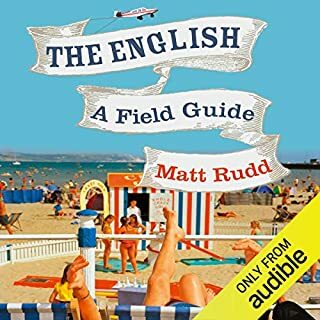 Who might you have cast as narrator instead of Matt Rudd? I'm sure I will be listening to this again very soon. 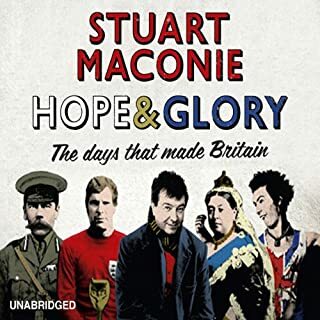 Packed with engaging facts, well researched and Stuart's voice is easy to listen to. Would you listen to Pies and Prejudice again? Why? Yes, it's full of interesting information and comment that deserves another listen for it all to sink in. 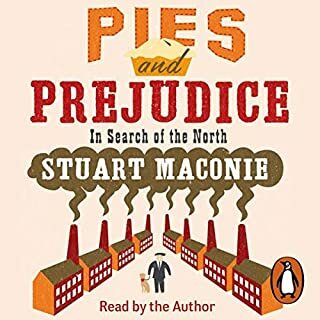 What other book might you compare Pies and Prejudice to, and why? Entertaining and informative, a thoroughly enjoyable listen...more please! At 10.41am on a Tuesday morning in September, Mark Mason boards the number 1A bus at Land’s End in Cornwall. Forty-six buses and eleven days later he disembarks at John O’Groats in Scotland. 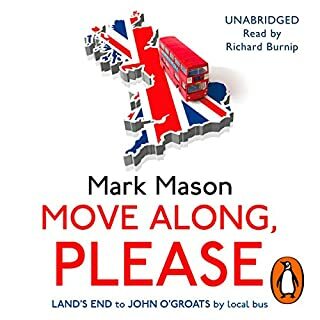 Move Along Please is his account of that gruelling 1100-mile odyssey; a paint-by-bus-numbers portrait of Britain. Along the way he visits everywhere from the village where the internet enters Britain to the urban sprawl of Birmingham (inspiration for the Two Towers in Lord of the Rings). What would have made Move Along, Please better? The book is dull, lacks any real humour and exposes the writers dislikes and prejudices. It seriously needed a good editor to pick up on this. I'm amazed it found a publisher. At 41, the writer seems prematurely middle-aged whilst remarkably untraveled in his own country and lacking in common knowledge. Bill Bryson he is not so expect none of the humour or wry observations. His recollections are mundane and uninteresting; descriptions of places visited vague and littered with random facts that I imagine were gleaned from Wikipedia. I had high hopes for this book but have found it boring. He clearly has negative preconceptions about some people that he would have better kept to himself. 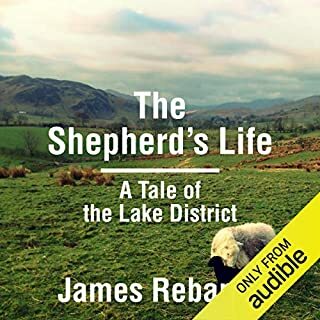 Having just recently listened to Stuart Maconie's excellent travelogue of his journey around the North, I found this a tiresome listen. Sorry. 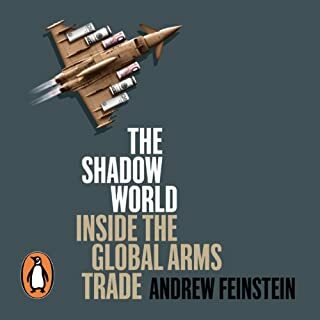 The level of corruption in the arms industry is staggering; apparently with the complicity of our, so called,democratic governments. This is a long book and requires concentrated listening but it is authoritative and sure to raise the hackles of any decent human being. Thoroughly recommended. 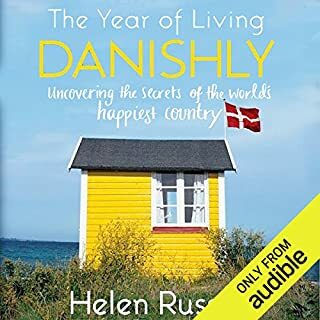 A superb book, beautifully and passionately written.A moving insight into the world of the Cumbrian hill farmer..Highly recommended..
What would have made The Year of Living Danishly better? If it wasn't so lazily written! Would you ever listen to anything by Helen Russell again? Would you be willing to try another one of Lucy Price-Lewis’s performances? Lazy journalism. Fifty percent statistical facts lifted straight from Google and fifty percent Chick-Lit, Yuppie tosh! Could have been so much more engaging and interesting. Poor and immature writing. Would you try another book written by Michael Palin or narrated by Michael Palin? 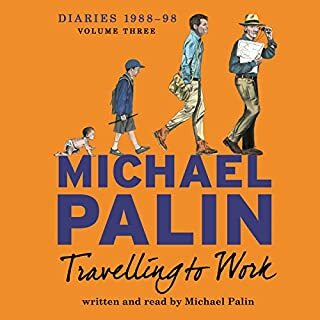 Would you ever listen to anything by Michael Palin again? Michael Palin is an interesting and talented man. 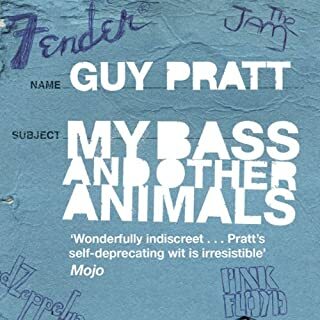 There are fragments that I have found interesting but this book is a rather dull list of uninteresting facts from his diary and a multitude of name dropping. I'm sure Michael Palin has more interesting books. I listened so you don't have to! A different story read by somebody interesting. Would you ever listen to anything by Mike Skinner again? 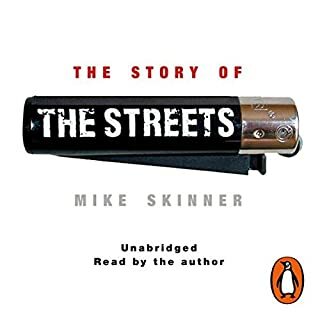 Who might you have cast as narrator instead of Mike Skinner? If you could play editor, what scene or scenes would you have cut from The Story of the Streets? Desperately dull and made even more dull by Mike Skinner's reading. I had bought a couple of his albums and like them, in their own way.The book is tedious beyond words however.